Good seafood can be hard to come by in the Midwest. Even though I buy mine at Whole Foods or my local seafood specialty shop, nothing can compare to the fresh seafood I was able to get at my regular grocery store on the east coast. So, when we were up in northern Michigan last weekend it was such a fun surprise to enjoy some fresh Michigan whitefish-- a local favorite. If you've never had it, this whitefish is light and flaky in texture and the flavor is super mild. My mom pulled these out and suggested that we grill them in foil packets, which is a great way to prepare whitefish. The fish is delicate, so the packet method prevents it from falling to pieces on the grill-- just make sure you include enough liquid in each packet to keep the fish moist! And the best thing about foil packet grilling? The super easy clean up. Just ball up the foil, throw away, and you're done. The flavors in this recipe are a classic combination when it comes to preparing fish. Fresh lemon, a combination of herbs, garlic, and a little white wine come together beautifully and give this fish a really nice pop of flavor. The recipe is also super versatile. If whitefish isn't available in your area, then tilapia or red snapper are great alternatives. Or you could stray from the whitefish altogether and try it with other fish. Salmon or swordfish would be great with this preparation. 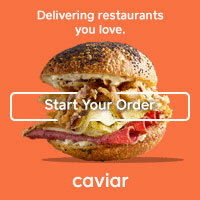 You can also customize the herb combination with whatever you like or have on hand. Fresh dill would be perfect here. Or you could add some cilantro for a little fresh Latin flavor. Roll out one very large sheet of aluminum foil for each fish fillet. The foil should be large enough that when folded, the edges meet and the fish is fully enclosed. You may need to use two sheets per fillet, depending on the dimensions of the fish. 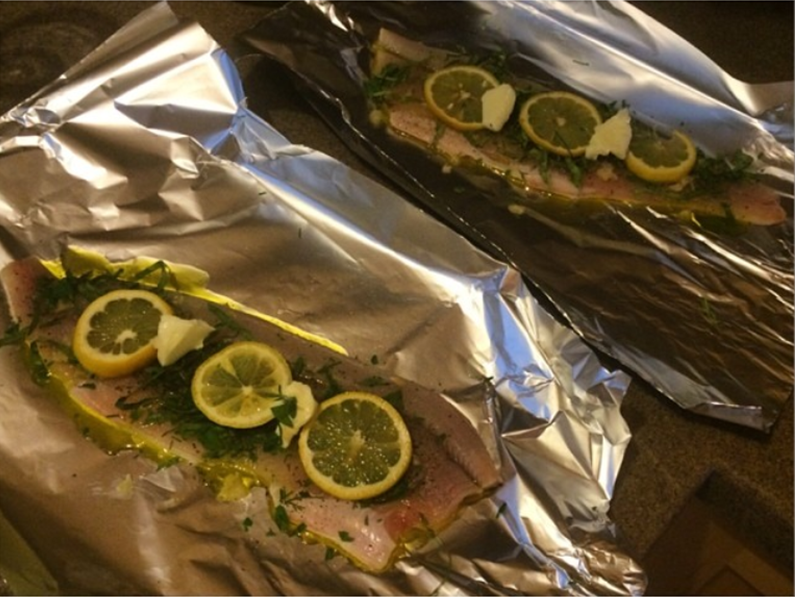 Drizzle a little olive oil on each sheet of foil and place the fish on top, skin side down. Drizzle the tops of each fish with remaining olive oil and season with salt and pepper. In a small bowl, combine basil, chives, parsley, and garlic. Sprinkle the herb mixture evenly over the top of each fish fish fillet. Arrange 3 to 4 lemon slices on top of each fish fillet. Follow by adding a few of the butter chunks to the top of each fillet, evenly spacing each one. Fold up the edges of each foil sheet to ensure that there is a lip surrounding each fish fillet. Gently pour a little white wine over the top of each fish fillet. Next, fold up the edges of the foil to create a packet. I like to bring the short sides in first and the meet the edges of the two longer sides (so that it almost looks like a tent) and then fold or roll those two pieces together until the fish is completely enclosed and snugly wrapped in its foil packet. Grill the packets for about 25 minutes (flipping once or twice throughout the cooking process) until fish is flaky and opaque. Once you have removed the packets from the grill, open them very carefully (keeping mind that they will be filled with steam). Use a spatula to remove the fish from the packets. The fish should slide right up, leaving the skin adhered to the foil below. Those willing to try homemade grilled recipes can visit TopElectricGriddles.com to find the best electric griddle that helps making varied kinds of recipes that will impress the guests too.